In the old Amsterdam neighborhood of ‘De Jordaan’, you will find a canal called Bloemgracht (Flower Canal). For many years, a coffee store called Schildmeijer could be found here. 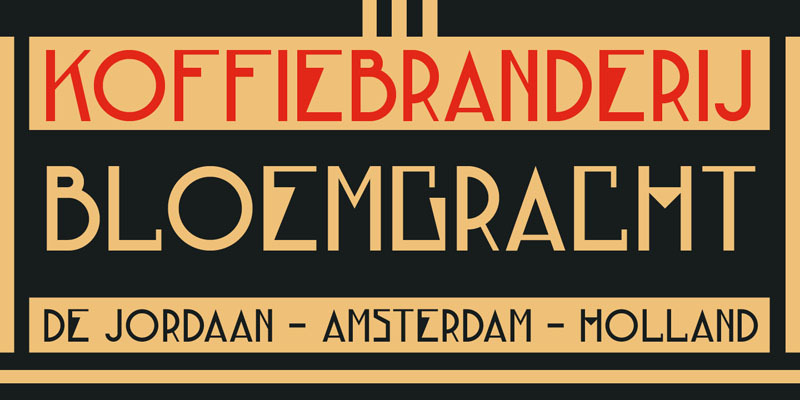 Their paper coffee bags and advertisements sported a hand made font which I have tried to recreate and the result is Bloemgracht typeface. It is an all caps art deco font, quite angular, but very legible and distinct. Bloemgracht comes with extensive language support.